The southeastern provinces of Turkey will soon be home to a series of new, state-of-the-art, archaeology museums. Such buildings are being (or have already been) planned, constructed, remodeled, or expanded. The Gaziantep Museum, for instance, houses many of the Roman mosaics of Zeugma unearthed before the construction of the Birecik Dam. Other mosaics, discovered during the expansion of Şanlıurfa’s sewage system, will be displayed in an Arkeopark near the city center. 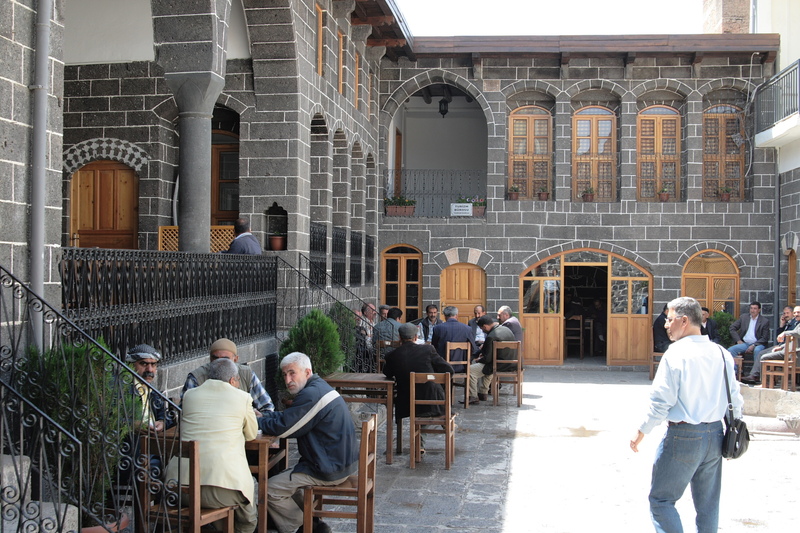 Diyarbakır, a third city in southeastern Turkey, is not lagging behind. Work is underway to transform its citadel (içkale) into an archaeology museum. Recent finds at sites threatened by the Ilısu Dam will make up a large part of its collection. Hence, the displaced antiquities will slowly find their ways to a new home. A win-win situation for Turkey, it would seem. As the country develops its infrastructure, investing in dams, roads, and sewage systems, it is simultaneously seen as protecting its past. A paradox, nevertheless, since it is these attempts to modernize that are threatening the country’s cultural heritage in the first place. With its citadel now being converted into a space where visitors will be able to contemplate the carefully selected and sanitized representatives of the region’s rich archaeology, the city of Diyarbakır makes a particularly interesting site to think about Cultural Heritage in the Near East. But, what kind of cultural heritage will the new museum display? Other museums in Turkey suggest that the emphasis will be placed on the city’s “10,000-year-old” past. In this historical narrative, cities (such as Diyarbakır) usually trace their roots back to the Neolithic. Through the centuries and millennia, different civilizations have come and gone, each leaving behind a constitutive piece of the city’s mosaic of identity. What other stories are left out of this narrative? In a recent New York Times article, Susanne Güsten writes about the contested heritage and “violent history” of the citadel. In the 1990s, the içkale was used as the headquarters of the Turkish army in its fight against the PKK (Kurdistan Worker’s Party). Today, Güsten explains, the “notorious prison, complete with torture chambers,” is still very much present and visible. How will this dark period of the city’s recent history be memorialized? Can a commemorative plaque, to mark the spot so to say, have enough explanatory and cathartic power? Should a separate museum be dedicated to these tragic events? Or, will it be easier to conceal these more recent memories for now, by simply shifting the emphasis to the seemingly more a-political objects of the Neolithic and Iron Age? Indeed, contested heritage seldom feels at home in archaeological museums. Efforts made by the pro-Kurdish Diyarbakır municipality over the past ten years have blurred the answers to these questions. By including Kurdish (as well as other ethnic and religious groups) heritage in their cultural policies, the city’s identity has been transformed. With these “activists in office,” to use Nicole Watts’ term, Newroz (the “Kurdish” New Year) has become more colorful each spring. Festivals celebrating Kurdish folklore have grown in popularity. Cultural centers, where the Diyarbakır youth studies Kurdish music and dance, have been thriving. Another tradition has also been revived. The dengbêjs are professional storytellers, elderly men, for the most part, who recite epic poetry in Kurdish memorized at a very young age. Themes range from the past heroic tales of warriors to the impossible romance of lovers. Filled with allusions to more contemporary affairs, their accounts can often take on a larger political dimension. In the early 1960s, the tradition began to be frowned upon and was prohibited in Turkey. The dengbêjs thus embarked on a long period of imposed silence. In the 1980s, as villagers in southeastern Turkey, caught between the army and the PKK, began flocking to cities, many of them landing in Diyarbakır looking for safety and jobs, the tradition lost even more ground. Diyarbakır’s population has increased dramatically from 150,000 in the 1970s to at least 1,500,000 today. The internally displaced people moved to the poorest areas of Diyarbakır, in the outskirts of the city or in the center’s many gecekondus (a Turkish word for shanty that literally means “landed overnight”). Problems related to housing, health, and education followed the massive urban migration. Today, if a feeling of normality has returned, many social issues linger on. After a 40-year hiatus, an ancient tradition has been revived, reinvented. The rural exodus has profoundly altered traditional Kurdish life. As a remnant of village society that simply did not seem to fit within this modern configuration, the dengbêjs almost disappeared in the overpopulated cities. 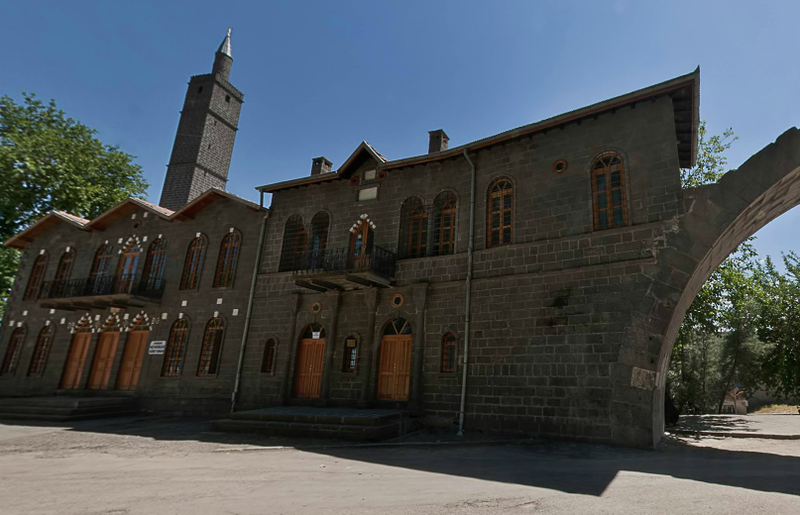 With the help of European Union funding, however, the municipality would allocate a refurbished traditional Diyarbakır house, built with the city’s characteristic black stones, to the dengbêjs in 2003. A “museum” dedicated to storytelling would see the light of day. Situated in the city center, the large open courtyard of the house makes an ideal place for the old “oral poets” to meet, drink tea, and chat. Occasionally, when visitors do enter the enclosure, bards like Seyîtxanê Boyaxcî will very enthusiastically recite a few verses for them. Perhaps, this constitutes a different kind of cultural heritage than archaeologists are used to. Oftentimes, a modern nation will stress concrete evidence and material objects to collectively imagine its past splendors. Here, we have a more malleable form of cultural heritage; spoken words barely audible among the noise of the urban sprawl. This more intangible type of cultural heritage has nevertheless also been used for national self-identification. Deprived of written archives, some within the Kurdish “imagined community” cling on to this link between their past and their present. Kurdish collective memory seems to be safely “archived” inside the mind of the dengbêjs who can perform these stories on demand to Kurds and non-Kurds alike. If they cannot offer a comprehensive national history, they constitute a great source of pride for Kurds. The archaeology museum and the dengbêj house seem diametrically opposed. In Diyarbakır’s new archaeology museum, the past will (most likely) be presented chronologically. Neatly ordered from earliest to latest, eras will follow one another in a continuous display of time. In the house, however, a contrasting temporality prevails. The dengbêjs adopt a distinctive strategy vis-à-vis time. They recite stories by lingering on certain events, improvising shortcuts, adding details now and then. In contrast to the museum’s apparent tidiness, narratives at the dengbêj house are fragmented, interrupted, and, sometimes, even forgotten. The archaeology museum, on the one hand, will present the past through inanimate things. Protected behind glass, the objects will seem both distant and silent. On the other hand, the dengbêjs are “museum pieces” that talk back, answer questions, and drink tea with the visitors. Their voices embody the past. When dengbêjs recite, they engage their whole body to recall hidden memories, sometimes bringing themselves and the spectators to tears. In contrast to a sterile, air-conditioned museum, the dengbêj house is filled with sounds and emotions. Archaeological museums offer the promise of a cultural heritage forever preserved. In stark opposition, each dengbêj is a reminder that the past, like life itself, is ephemeral. If archaeology museums constantly need to reinvent themselves to attract visitors, the house rarely encounters this problem. As guests enter dengbêj territory and hear a first verse, their senses are immediately captured and become devoted to the recitations. Visitors are only allowed to return to their normal state at the end of the story. Behind museum doors, objects can lose much of their vitality. But, in the mouth of a dengbêj, the past takes a life of its own, mediated, improvised, and constantly reinvented by these modern-day storytellers. Undoubtedly, the archaeology museums in southeastern Turkey will be impressive. Like the new Ankara Civilizations Museum in the planning for the 100th year anniversary of the Turkish Republic in 2023, they will use the latest digital technologies, be connected to new global networks of tourism, attract more and more visitors, and might even become financially sustainable. As I think about these new archaeology museums, however, I wonder if any of them will ever be able to transmit the past to future generations the way a small group of old Kurdish bards does in Diyarbakır’s dengbêj house.